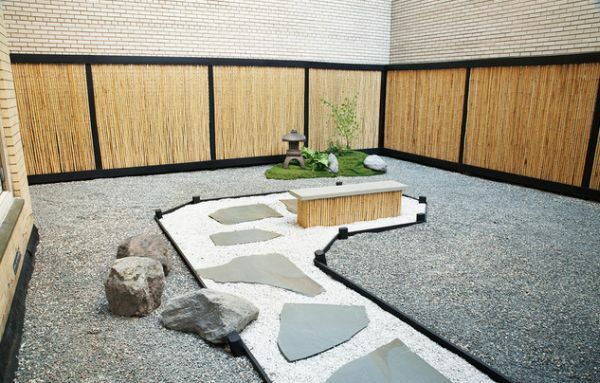 There is something innately profound and inherently calming about Asian design with Oriental overtones in large and Japanese design and architecture in particular. 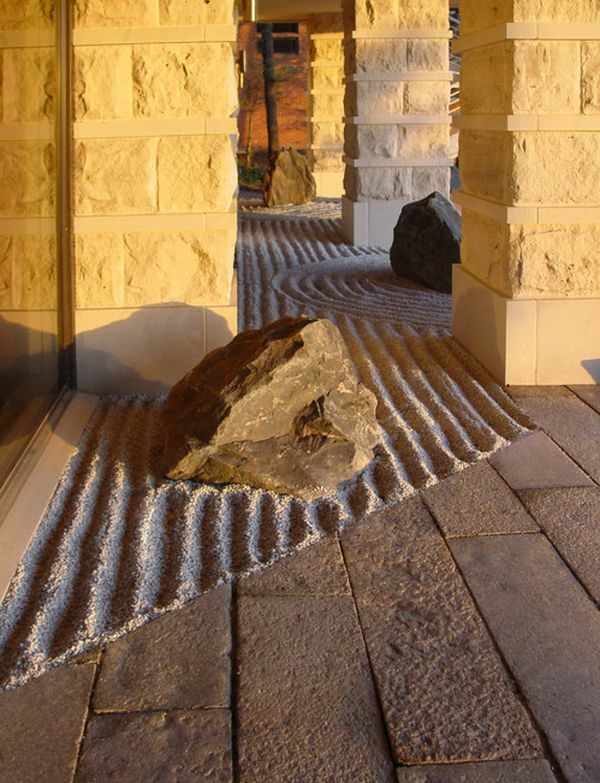 Maybe it is the influence of the regions philosophical outlook towards life that has shaped its style and design principles for several centuries or it could be a combination of their lifestyle that is deeply connected with nature and the topography of the region that offers them a unique insight into every aspect of life. 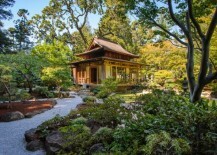 Either way, an amalgamation of all these factors has shaped Japanese culture and lifestyle into a beautifully aesthetic and naturally relaxing form and the west has borrowed generously from them in the last century or so. 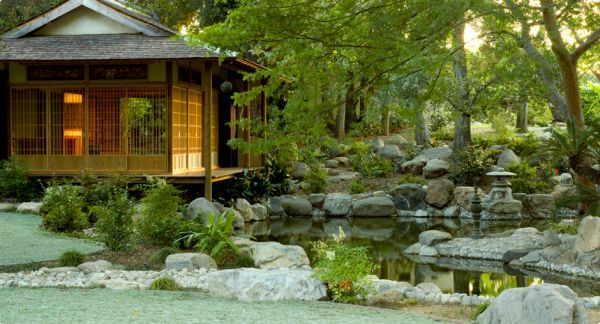 Japanese gardens are another amazing gift from the Far East, which have given many modern homes a soothing and serene ambiance. 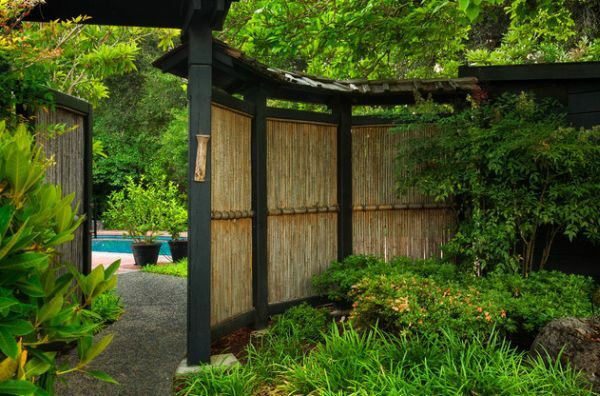 Serene and private Japanese garden encased in a fence of Bamboo goodness! 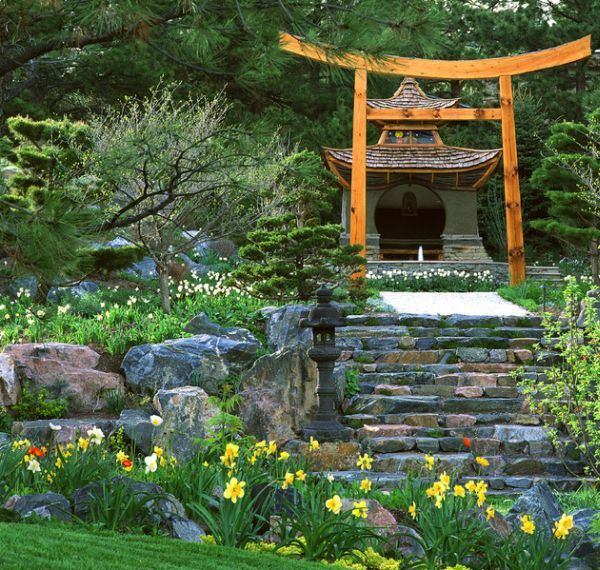 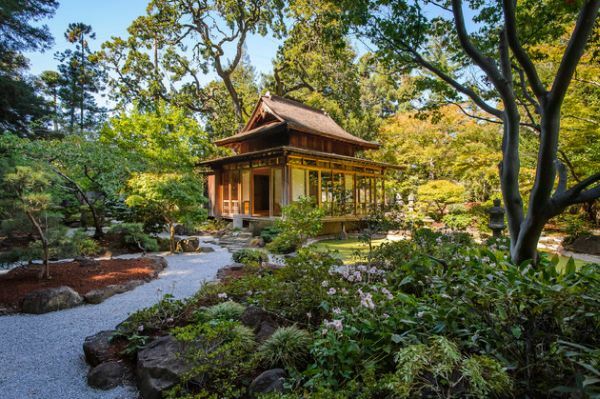 While Japanese gardens initially started off by borrowing largely from the Chinese model, over several hundred years they evolved their own inimitable flavor and distinct features that are identified as intrinsic and essential components of the set up. 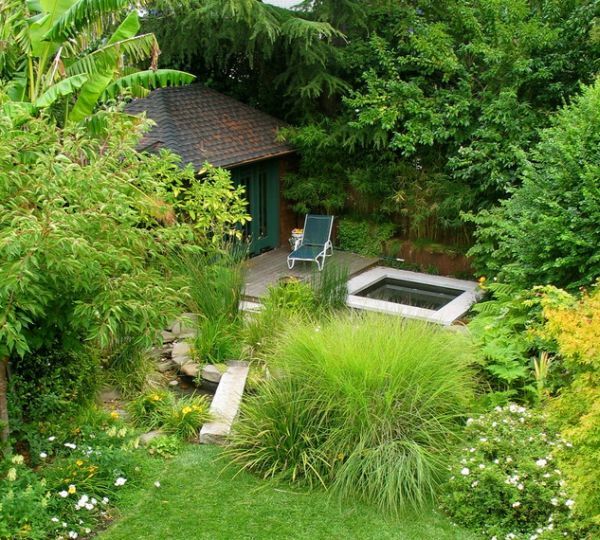 These gardens are basically miniature versions of bigger and grander landscapes and they are a pleasing and idealized view of nature at its nourishing best. 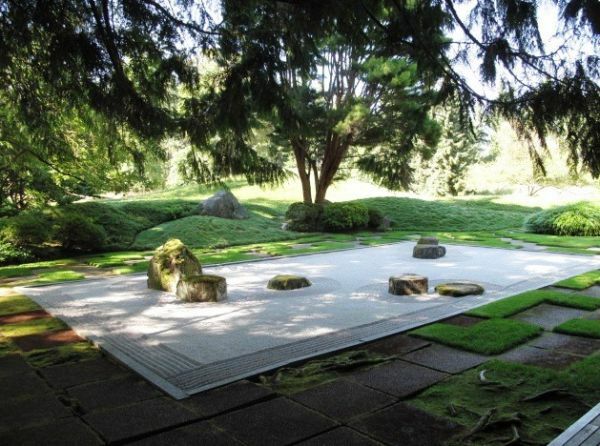 No one will understand a Japanese garden until you’ve walked through one, and you hear the crunch underfoot, and you smell it, and you experience it over time. 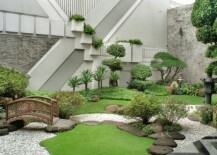 Now there’s no perfect photograph or movie that can give you the complete experience since it is more than just visual brilliance. 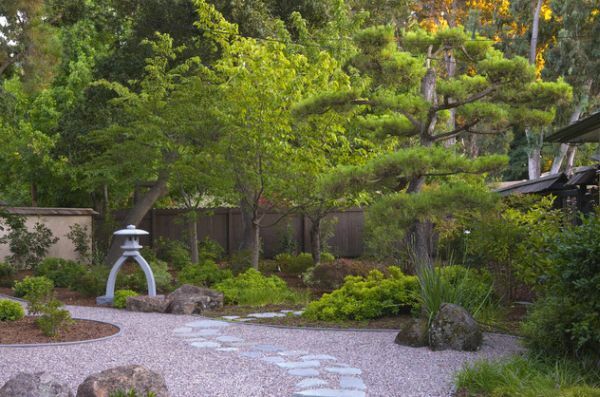 Balance, poise and a sense of natural beauty that is neither forced nor contrived is the essence of a Japanese garden design. 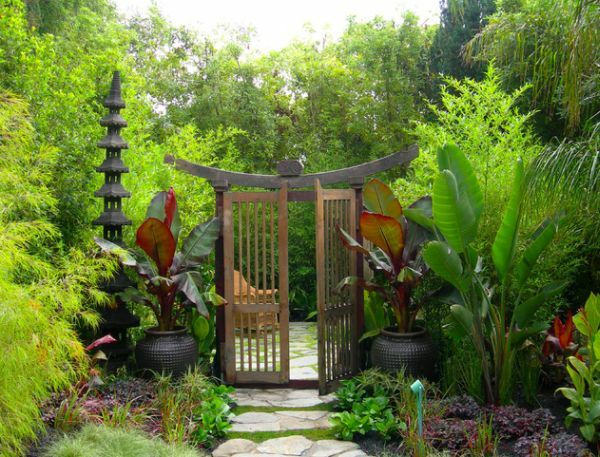 While placing them at the heart of your home as a vibrant and energizing hub will give your open interiors a whole new meaning, one in the backyard will allow you to stroll through captivating elegance while collecting your thoughts. 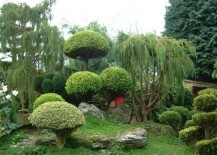 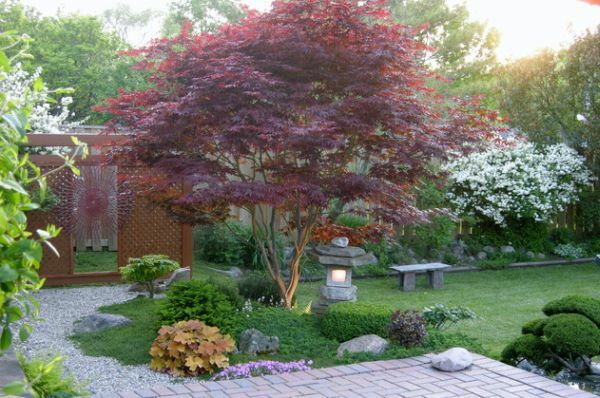 One of the important things to remember is that Japanese gardens are asymmetric by nature and it is one of the carefully planned features that give them their special appeal. 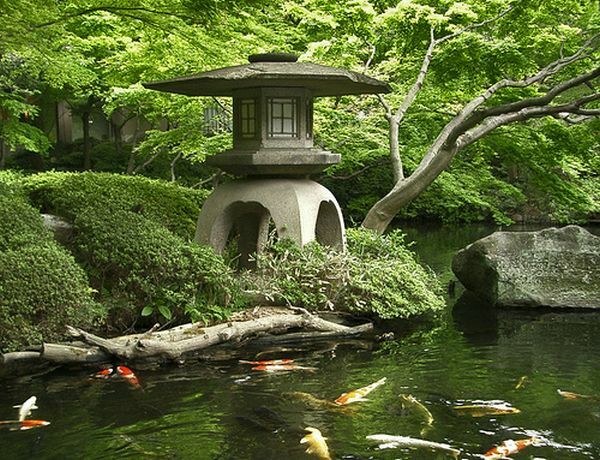 Japanese gardens derive their beauty from a mixing and blending of different elements in a symbolic and natural manner to create an ambient atmosphere. Rocks, sand, water, bamboo, trees, flowers and even bridges are placed with precision to create an exceptional sense of organic asymmetry. 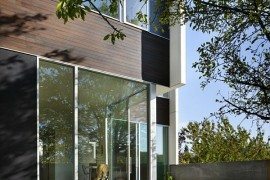 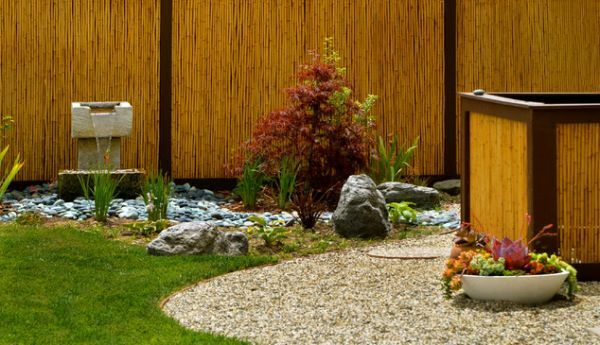 The most alluring aspect of trying to design a Japanese garden for your home is the elements that can go into its making and what each of them signifies. 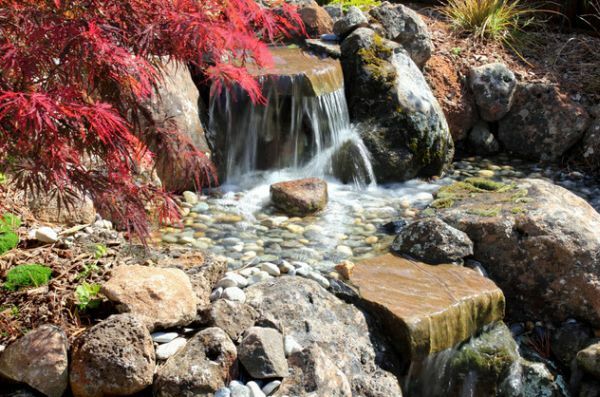 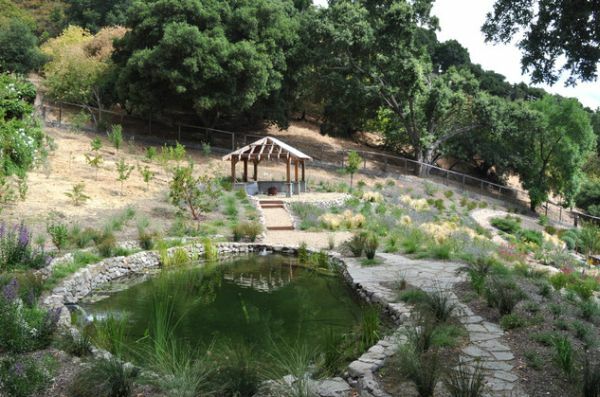 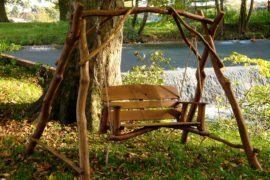 Water is one of the basic components and from still ponds to flowing streams and even small cascades; you can incorporate any feature that you feel is best for your garden. 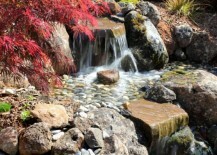 Water and stone are the ying-yang and hence the balance each other and their placement must be done accordingly. 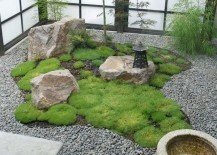 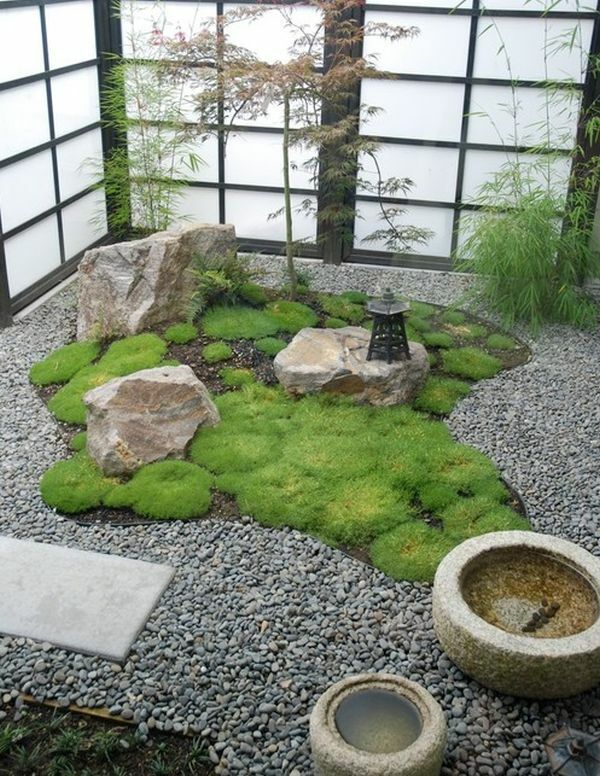 For those not keen on fresh water usage, sand is a suitable substitute as it represents both water and clouds in the context of Japanese gardens. 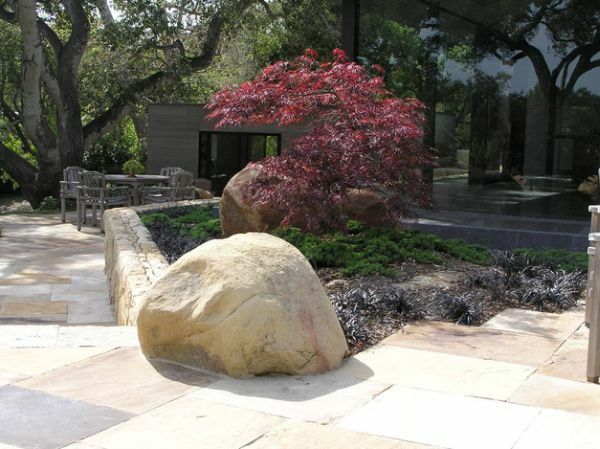 Rocks are another essential feature and their meaning depends on both their composition and placement. 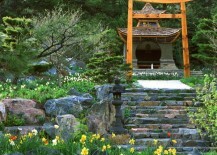 It could vary anywhere between a towering mountain to rocky shores eroded by constant corrosion caused by waves. 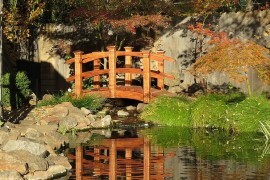 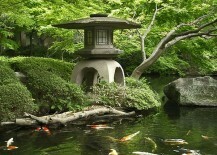 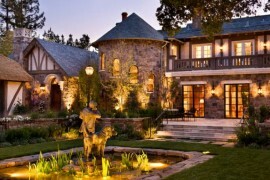 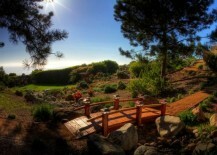 Koi Ponds, stone lanterns, garden bridges and wash basins all add up to painting the perfect scenery. 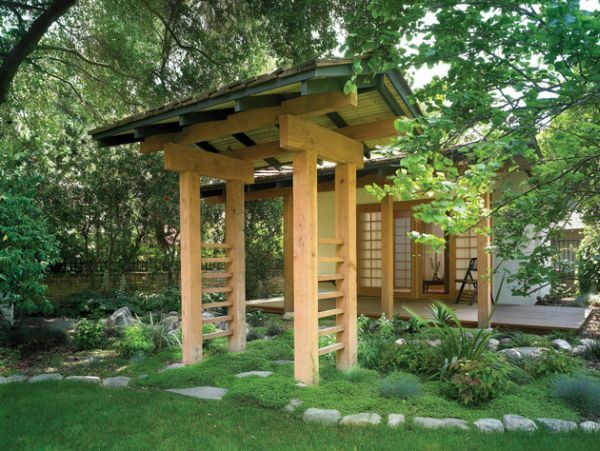 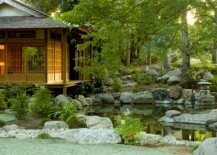 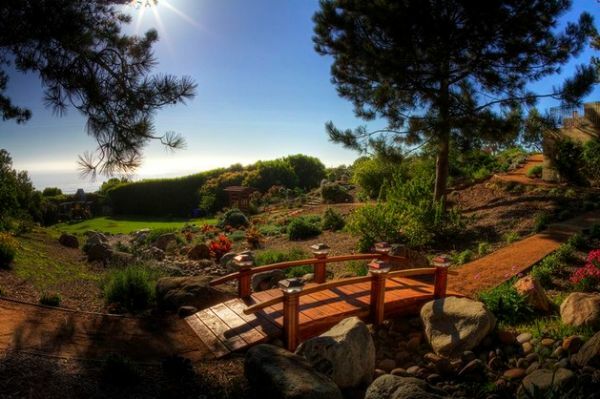 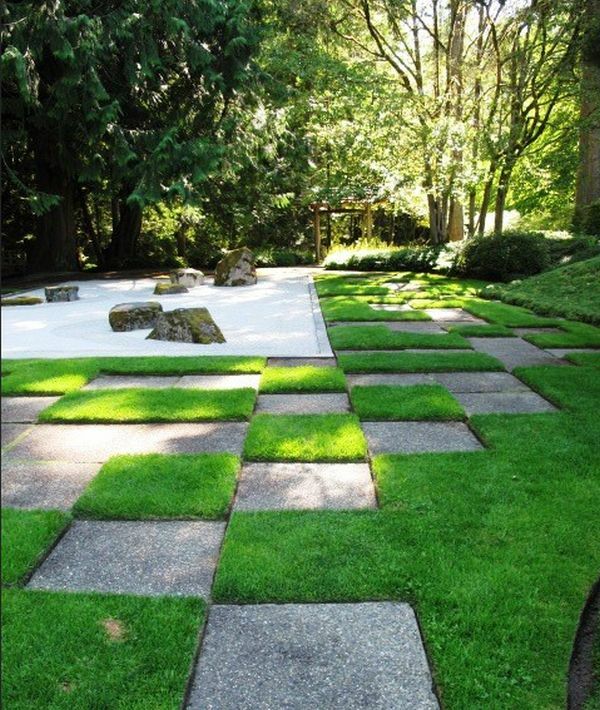 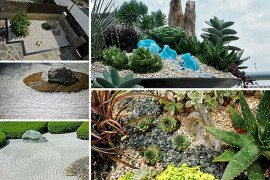 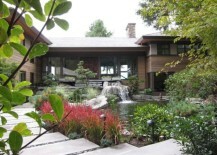 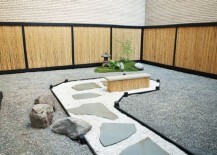 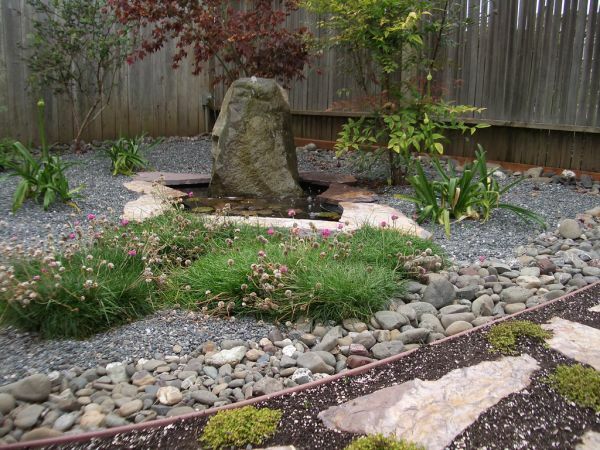 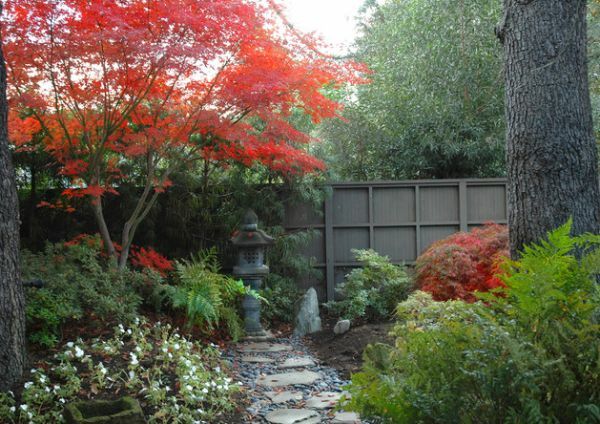 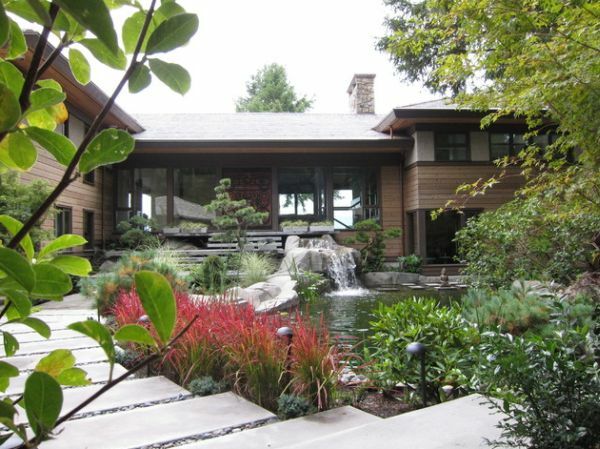 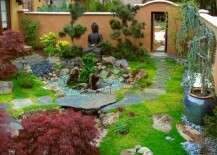 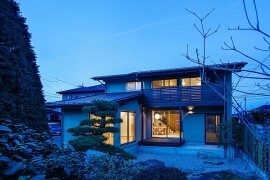 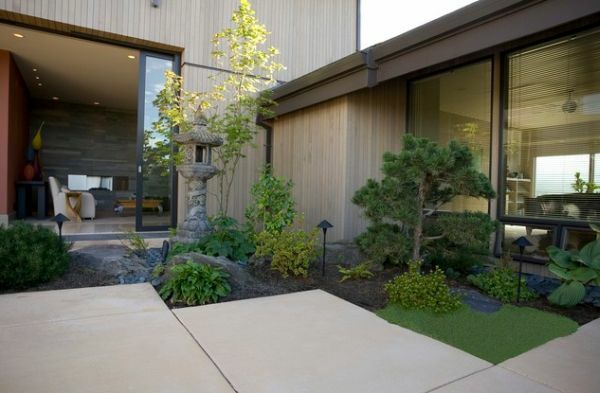 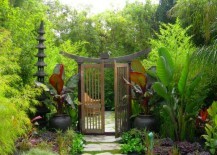 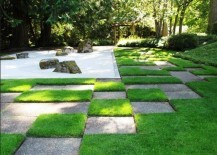 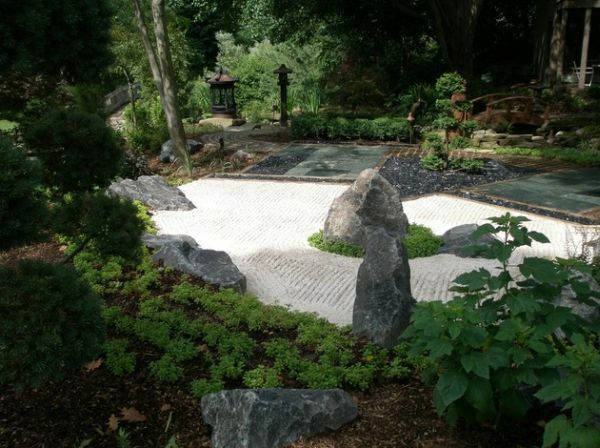 At the end of the day, conjuring up and creating a perfect Japanese garden is a task for both a creative home owner and an expert who specializes in the craft. 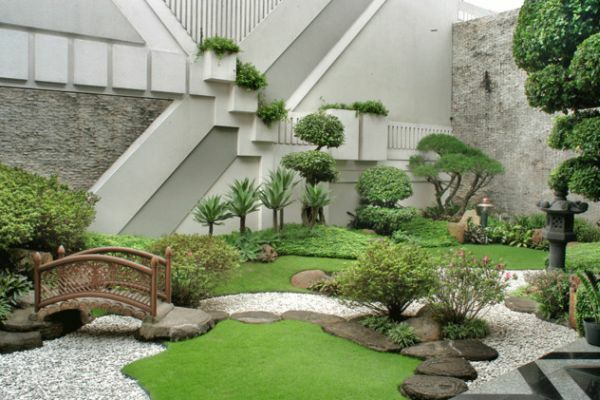 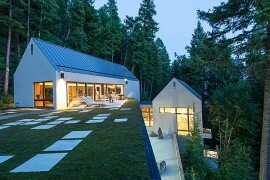 With right imagination and technique, one can truly create a piece of heaven in your backyard that is draped in greenery.